THE MAQLU is perhaps one of the most interesting and profound aspects of – what some might consider ‘Mesopotamian Magick’ or ‘Babylonian Mysticism’. It composes only one ‘cycle’ of a much ‘Greater’ Mystery Tradition and yet it has always been of considerable ‘esoteric occult’ and ‘academic’ value by itself – though it has gone wholly unrecognized as such. Some of this is of the fault of the current editor in past endeavors as well – and by saying this, an explanation is due. As a ‘translated’ cycle of materials for inclusion in the work conducted by the early members of the Mardukite Chamberlains Research Organization in 2008 and 2009, the actually MAQLU (M-Series) of tablets were left unfinished – left in their Babylo-Akkadian transliteration for eventual translation. 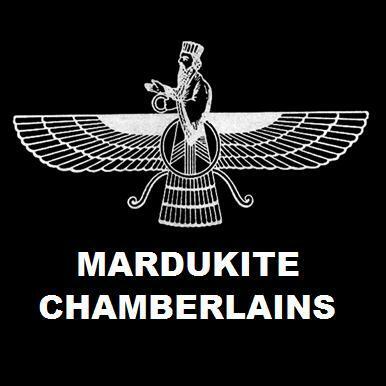 This period of time during the evolution of the ‘reconstruction’ of the complete ‘Mardukite’ legacy had been most heavily emphasized on the inner infrastructure of the civilization and the literature, often leaving the more ‘practical’ applications open for interpretation — regardless of how they were actually being conducted and executed within the chambers of the Mardukite Home Office. Such was left for ‘later’ or eventual interpretation by those who began to gain access publicly to what was at first only available to ‘internal’ members of the organization. The M-Series is the only tablet cycle in the (eventually titled) Necronomicon Anunnaki Bible that is not in English. [Although this was corrected in the Fifth Edition using Liber-M.] It had intended on being so for the ‘original’ Mardukite presentation of the Liber N (Necronomicon) – the first of many libros in the ‘legacy’, but debuting with a ‘selection’ of works from our ‘Greater’ corpus of materials that appeared to form a base for what many (millions in fact) had already come to know as the “Simon” Necronomicon. We were not ‘reconstructing’ the prior work, but instead reverse engineering from the ‘source’ the elements that the greater population would recognize. The Liber N+L+G+9 anthology — now known as the Necronomicon Anunnaki Bible — in its entirety, actually far surpasses anything that might have been gleaned from hermetic operation of the Simonian work prior – to even the most adept of your worldly magicians and wizards. What might have first appeared as the end of the world for our movement — leaving it just short of a two year run — turned into a moment for the internal staff (known as the Council of Nabu-Tutu) to look ‘inward’ and become more reflective. The acquisition of further ‘source-materials’ and ‘translation’ assistance would be difficult — if possible at all — forcing the ‘Research & Development” efforts concentrated more on interpretation and ‘experimentation’, leading to Liber 50 (first released as Gates of the Necronomicon by Joshua Free and later to the public as Sumerian Religion: Secrets of the Anunnaki) as well as our own ‘personal’ contribution to the unique revival — The Book of Marduk by Nabu. In the midst of all this, the MAQLU was left behind, untranslated and unincorporated into the ‘legacy’ proper. Dusting the tablets – and our own eyes – from a long-standing relationship with the desert sands, I am pleased to give the ‘Mardukite’ stamp of approval to what I hope will prove to be as incredible of an addition to your own treasure-trove of Mesopotamian Mysteries as it has been for me – an effort many years overdue: MAQLU MAGIC: SUMERIAN SORCERY & THE DARK ARTS OF BABYLON edited by Joshua Free with translation assistance by Khem Juergen.